Users who participate in Motorola's Soak Testing program get early versions of Android Updates on their Motorola smartphones,currently they are getting Android 5.0 Lollipop update. 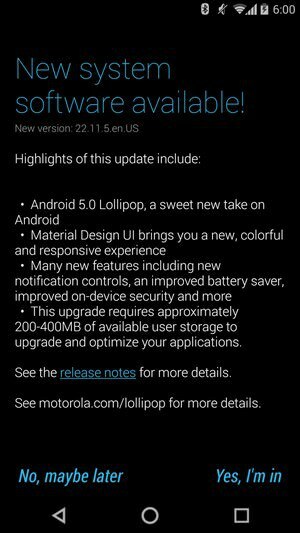 The Android 5.0 Lollipop OTA update for the Moto X (2014) is now available for you to download and manually sideload on the handset. This is the same OTA update that Motorola sent out to its soak testers earlier today and is only meant for the ‘Pure Edition’ Moto X. Installation is pretty simple, and for once you don’t need root access as well. You will need to be running a completely stock firmware on your Moto X otherwise the OTA update will not install. In case you have modified the system partition in one way or the other, you can download the stock images from here to restore your handset back to its original untouched state. The installation steps for the OTA are pretty simple as well. Simply download the OTA from here, reboot your Moto X into stock recovery by pressing the Volume Up + Power button. Then, connect the handset to your PC and use the ‘adb sideload OTAfilename.zip’ command to sideload the ZIP. Once the file is transferred to the phone, the installation process will automatically begin. 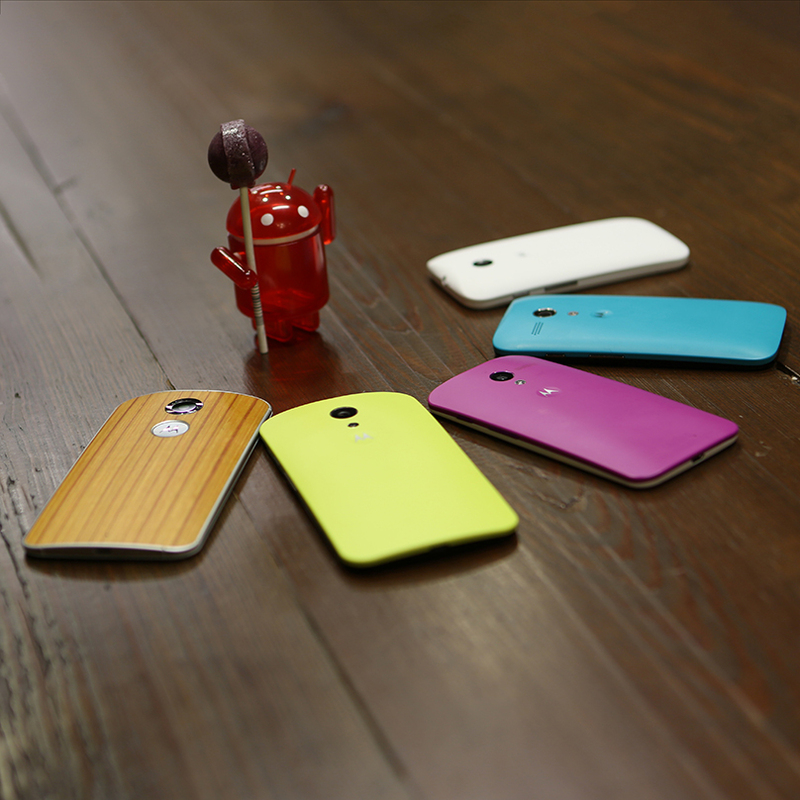 If you do end up installing the leaked Lollipop update on your Moto X, drop in your comments and do let us know your thoughts about it. Motorola seems to repeat the history of Android updates so fast and that's a bit far impressive. After the final Lenovo takeover is announced, they still not changing their mobile strategy which is a good sign.